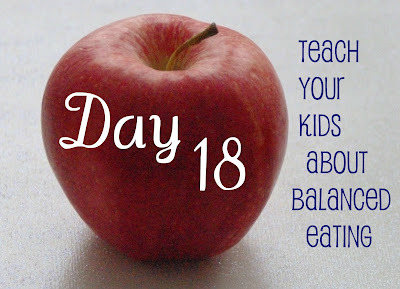 Recently, I've seen a variety of posts which have made me think about how to teach my kids about balanced eating. Right now, it's mostly me dictating the balance. When my kids request snacks, they've often heard me say, "You need some protein." I never really defined this for them though, so they've come to associate protein with "healthy," and have been known to tell me that apples, or broccoli have, "protein." As a teacher, I am a firm believer in differentiation. When it comes to learning, people learn in different ways. When it comes to healthy eating, not everyone defines "healthy," the same way. And when trying to find accountability for balanced eating, not everyone will find the same methods to be helpful. Your task for today's challenge is to find a way, that works for your and your family, to help your children understand how to eat a variety of foods in a way that is balanced. 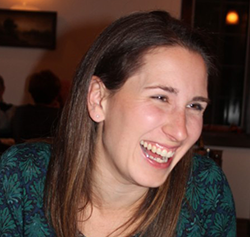 Amanda at Gratefully Growing in Grace, has a great post about how she plans meals using the USDA's "My Plate" which has replaced the food guide pyramid. 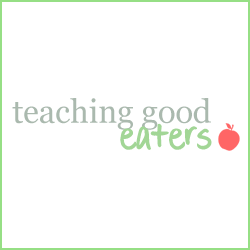 The Educator's Spin On It has two great posts which help children to evaluate the fruits and vegetables they are eating. 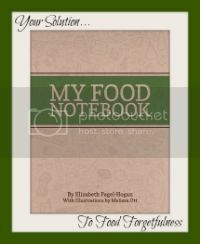 These posts include activities and books, as well as, information about portion sizes which also refer to the USDA's MyPlate guide. 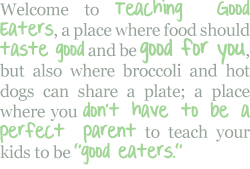 Bent on Better Lunches has a great post about talking to kids about eating "real food." She also shares how she used the "Today I ate a Rainbow," chart to encourage her son to make better choices. Super Healthy Kids sells a plate that shows kids proper portions of a variety of foods. However, as I've said, I believe in differentiation... and as I thought about all of the methods I've seen, none of them really work for me or my family... For one thing, even though I am a "math nerd," I don't like counting (servings, portion sizes, etc.) when it comes to my food. I also tend to serve meals that would not divide well into separate portions of a plate. Finally, I wanted to be able to look at balance over the day as a whole. Therefore, I came up with my own way of teaching and tracking my kid's balanced eating. This can be used in a variety of ways based on your children's ages. For my daughter, I will have her write the names of foods from each meal that fit into the various categories. For my older son, I will have him draw a picture of the foods that he has eaten in each category, and my youngest will simply color or make a mark in the box. You'll notice that I put dairy into the protein group. To me, this is where it belongs, and in some meals or snacks it is how I add protein (cheese, Greek yogurt, etc.) I also know that there are quite a few children who eat perfectly healthy diets without any dairy at all due to dietary restrictions. You'll also notice, that I named the grains group- whole grains. I am planning a post for tomorrow in which I will be explaining why I feel whole grains are so important, and therefore, I believe that it is worthwhile to make whole grains, and not just "grains," a dietary imperative. 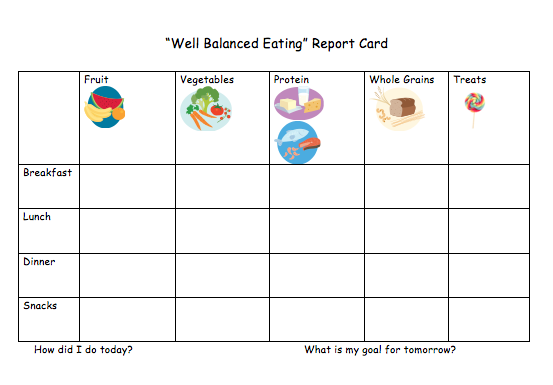 For a printable copy of the Well Balanced Eating Report Card, click here. So, how will you be encouraging Balanced Eating? You were featured on this week's Refresh Your Nest Friday!